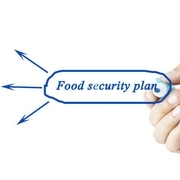 This article is a lead into ThroughPoint’s series on Food Safety and Food Defense. Our focus will be preparing for the United States FDA Food Safety Modernization Act implementation. This article is a reprint and we acknowledge Food Safety Magazine and thank Dr. Norton. By Robert A. Norton, Ph.D.
What, if anything, does The Art of War have to do with food defense? The simple answer is everything. The Art of War at its simplest, and most complex, is a set of guidelines describing how to achieve victory by overcoming threats (adversaries), while expending the least capital possible. Whether in war or business, the goal is to achieve success (defined by your corporation), without breaking the bank or destroying the enterprise along the way. Food defense is a balancing act, where maximizing benefit must include careful consideration of financial and human costs. A maximized food defense program could be designed, which would break the proverbial bank and in the end damage the very assets (company financial well-being, brand, etc.) it was designed to protect. That would be foolish, but so would a food defense program made so weak (no capital expenditures, poorly designed or implemented, etc.) that it protected nothing. As an Army veteran, let me be clear here that I am not claiming moral equivalency between actual war and business. What I do claim is that the principles learned in war can be used to design anagile and robust food defense program that any military strategist would likely recognize. Sun Tzu emphasizes the need to first know yourself (your capabilities, strengths and weaknesses) and your enemy (the full range of adversaries that might wish to do your food corporation harm). Only then can you design a program that will defeat your adversaries, without defeating yourself. Defenses are different for the types and capabilities of adversaries you face. The main thing is to panticipate as many types of attacks as possible and consider that the baseline. After that, prepare for surprises that might otherwise be overlooked. Before December 2, 2015, no one in the food industry would have considered a California public health inspector to be a personnel threat, yet it was that day that Syed Rizwan Farook, the aforementioned inspector (and his wife Tashfeen Malik) shot and killed 14 people and wounded 22. The victims were attending a Department of Public Health training event and holiday party. In some parlances, this was the “Unknown Unknown,” just another way of saying the unanticipated threat. Threats can come from many directions, both external and internal. Many are fairly standard, but beyond that companies must consider the possibility of highly skilled “thinking adversaries” who could, among other deleterious outcomes, cause damage, hurt or kill people, denigrate brand and destroy market share. It is imperative that companies start to seriously consider such scenarios so robust defenses and response capabilities can be fielded before the hurt begins. The best way to defeat adversaries is to anticipate their actions and be there in waiting to neutralize the threat before it happens. Sun Tzu would be proud! Robert A. Norton, Ph.D., is a professor at Auburn University and a member of the Auburn University Food System Institute’s core faculty. A long-time consultant to federal and state law enforcement agencies, the Department of Defense and industry, he specializes in intelligence analysis, weapons of mass destruction defense and national security. For more information on the topic or for more detailed discussions about specific security related needs, he can be reached at nortora@auburn.edu or by phone at 334.8447562. 1. The Art of War is a readily available in bookstores or on the web. Because of its popularity, many editions exist, each differing from only slightly to dramatically, according to skill used in producing the nuanced translation. A very approachable edition squarely aimed at business was translated by Gary Gagliardi in the Clairbridge Publishing as part of their Art of War Plus Series, ISBN: 1929194005. A more technically complex translation used by the author for military students and audiences is the Penguin Classics edition translated by John Minford, ISBN: 978-0-14-043919-9.